When you stamp the name Peter Bakwin on your adventure vest it had better perform above and exceed all expectations one puts on it. 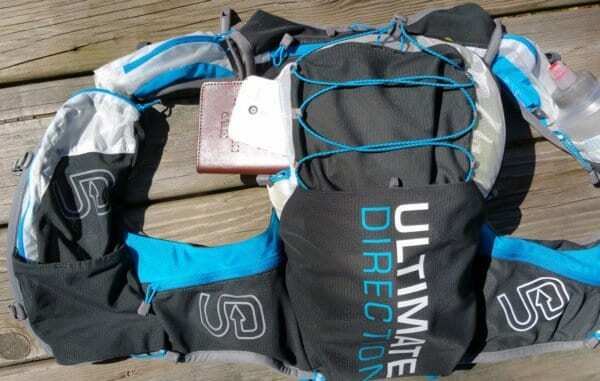 However when Peter Bakwin actually gets involved and helps Ultimate Direction create the PB Adventure Vest 3.0, there is a pretty good chance that it will excel in just about every environment you take it in. For those of you who don’t know Peter (BIO), he is long time trail runner with well over 70 marathons and ultramarathon races under his belt and not just those “easy” 50k’s either, things more like a Double Hardrock Hundred (200 miles) and being the current speed record holder for the 141 mile Kokopeli Trail, so he is no stranger to needing a hydration vest that will do the job and do it well. When you first pick up the Ultimate Direction PB Adventure Vest 3.0 it is so incredibly lightweight that you question in your mind, “how is this possibly going to hold up to the wear and tear of trail running?”. It is in fact about 45 grams lighter than the 2.0 series. Looking over the vest , I am amazed at the vast amount of storage, drop pockets and zippered pockets (I count 16 in all, WOW). But the thing that jumped out at me is the fact that this vest only comes with one hydration flask. Strange right? I am pretty sure all of the other UD vests come with two. Let’s get into the details. As I stated above, the storage on the PB Vest is absolutely incredible and almost limitless, okay not limitless, BUT 16 POCKETS, 16! 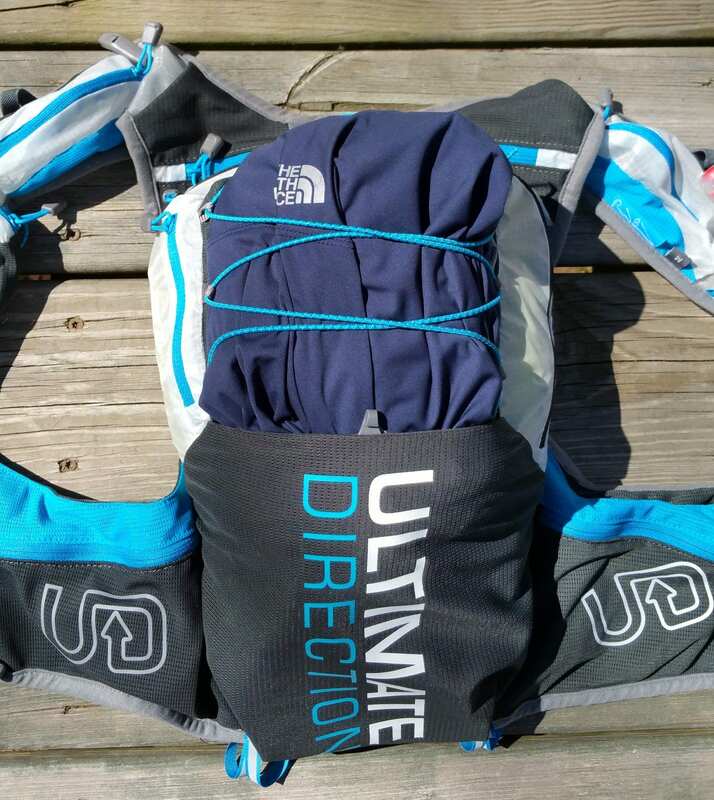 Starting on the back of the pack, the top innermost pocket, it is setup for an optional hydration bladder which I did install and try out. 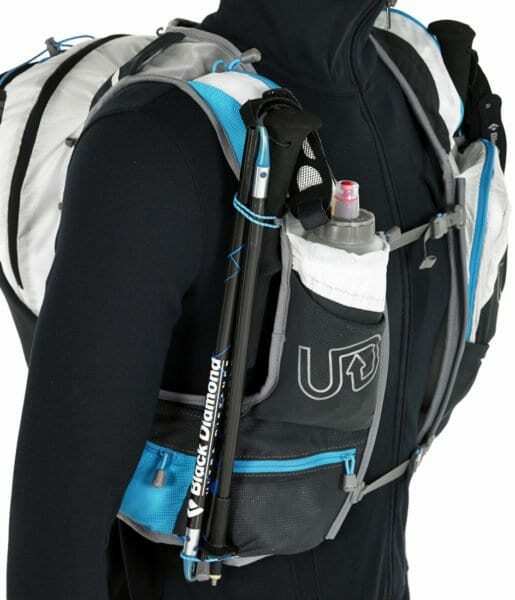 The bladder velcros on the top for securing it and the hydration hose runs down along either the left or right shoulder under the top chest pockets. 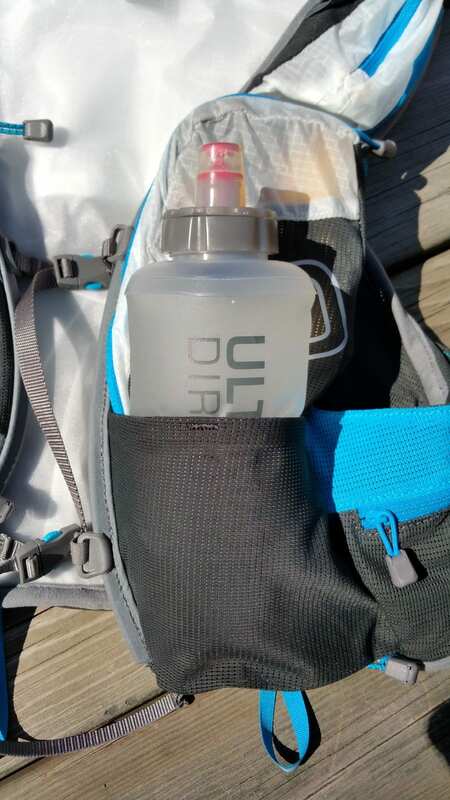 The hydration pack fits and works great for when you really need to stack up on liquid for that long adventure. Should you not need the extra fluid, the pocket is an ideal fit for a lightweight jacket. 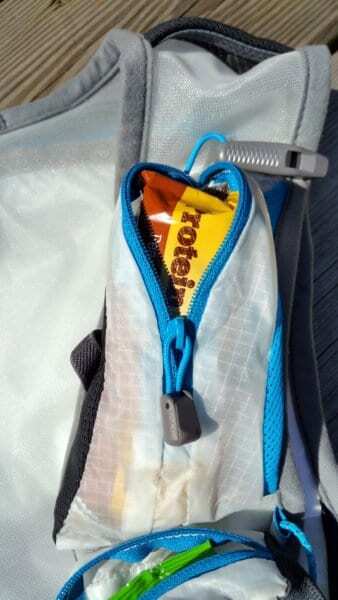 The main stuff pocket sits just on top of the hydration reservoir pocket and is the one that provides the most amount of storage, I was able to easily stuff a heavy duty winter running coat in it. 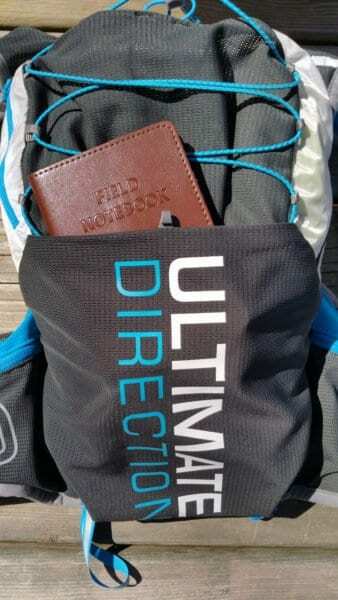 On top of main pocket is a waterproof pocket with a key clip built into it, meant for phones, keys, wallet and other items you want to keep dry. The last two pockets on the back are drop pockets constructed of mesh for wet gear or look another spot for a water bottle. 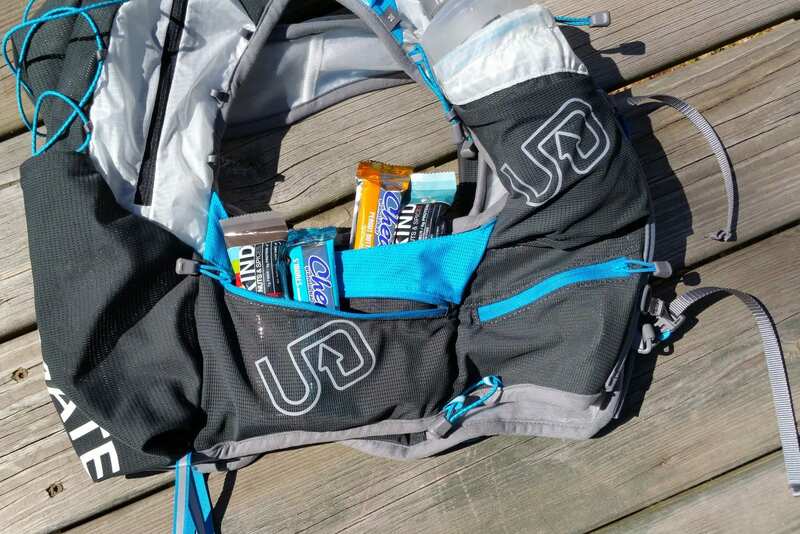 Jumping to the sides of the vest, it offers two pockets on each side, a zippered and a velcro, an optimal place to put those trail snacks. 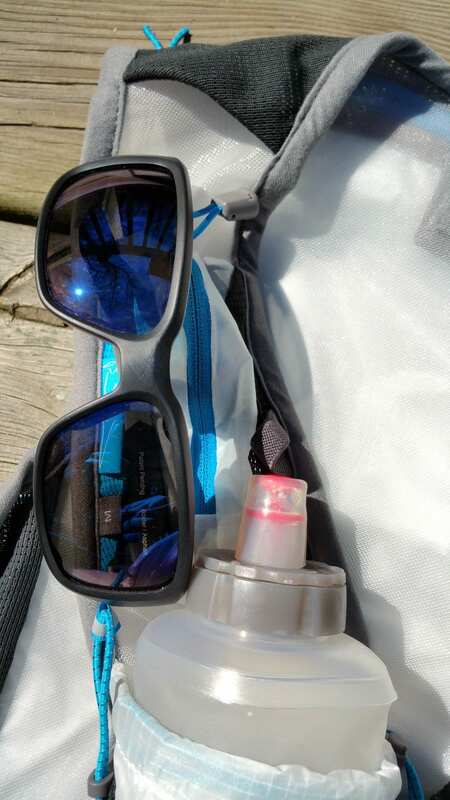 The front of the vest has the remaining seven pockets, two zippered on the top, perfect for fitting gels or a power bar; also a great place to hook your sunglasses when the sun disappears. 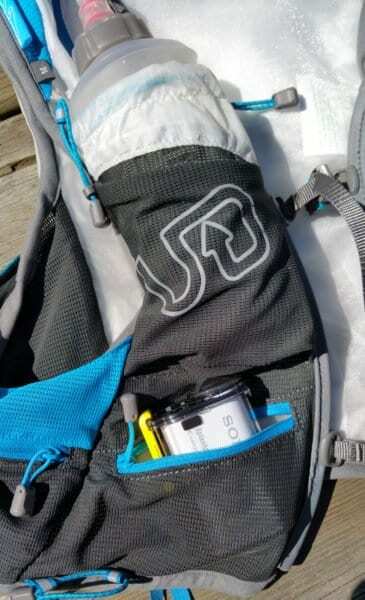 The right side has a zippered pocket on the bottom, stash the action camera there; the main water flask pocket with a cinch strap and one last drop pocket in front of the water flask pocket. 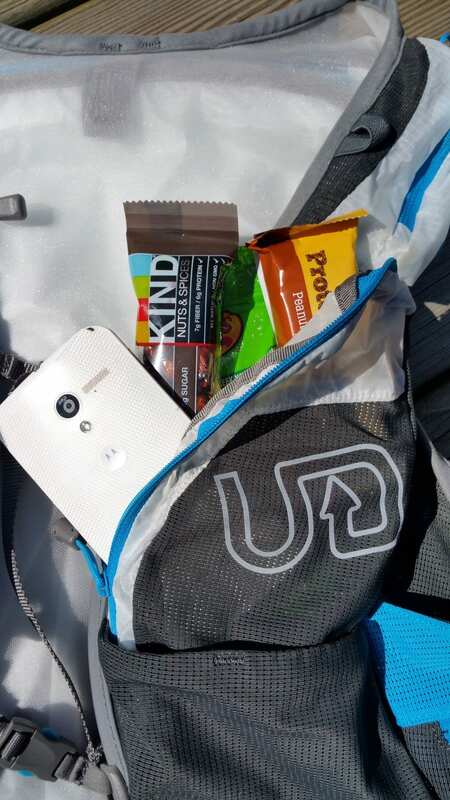 The left hand side gives you an enormous burrito pocket great for you tablet smartphone users (don’t worry your phone will fit and then some) and one last drop pocket for a flask or water bottle. Let me just apologize here for my use of the word “pocket”, but what can you do, there are 16 of them! 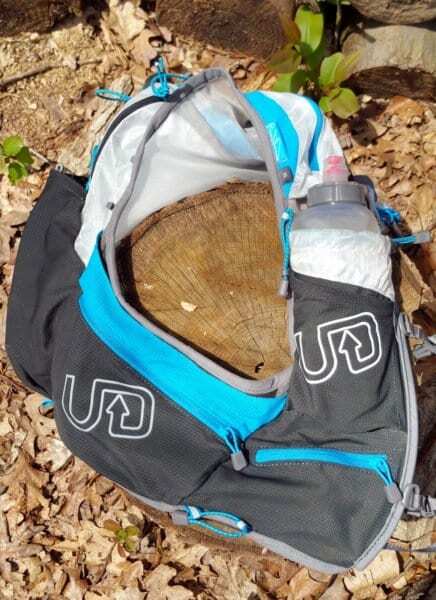 You would think that is it, but let’s not forget about the elastic bungee cord on the back for securing lightweight jackets or other accessories. And the thing that makes this an adventure vest and not just a running vest, it has to loops on the rear for ice axes and on the front, has on-the-go trekking pole straps. 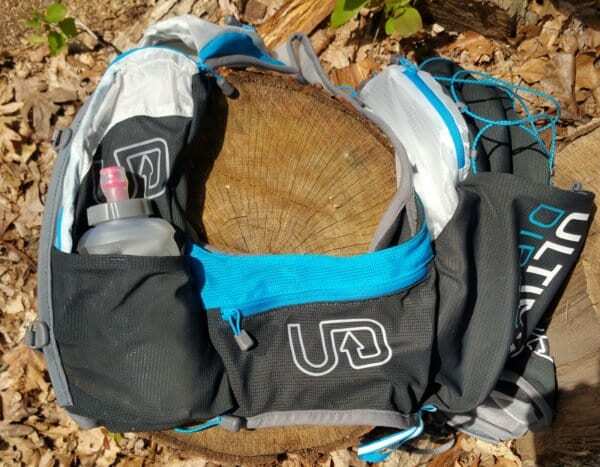 I took the vest on many trail runs, a couple of hiking adventures and some bike rides, from fully loaded to lightly packed. 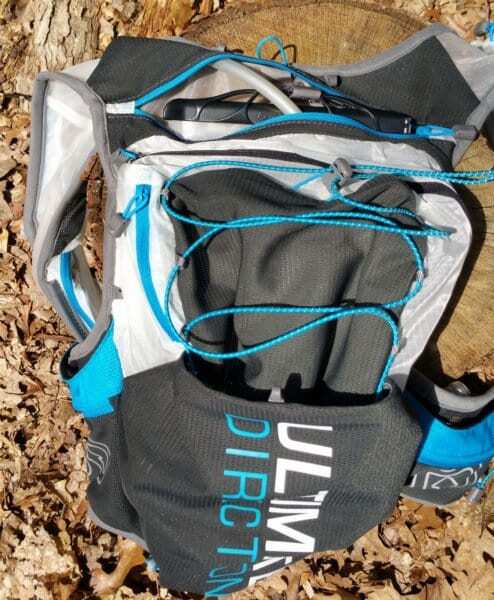 The PB Adventure Vest is extremely comfortable no matter the load, the harness fabric surrounds you, easily distributing the weight and preventing any bounce, especially as you jostle while running and climbing. 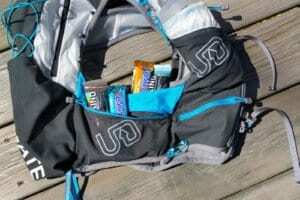 The lightness of the pack makes it almost unnoticeable when it is packed on the slight side. When the pack is fully loaded you certainly need to adjust the straps, two chest straps and two side straps, to get the right fit, but once that is dialed in, the pack rides perfectly on your back, even with a full reservoir, bottles, flasks, bars, gels, jackets, phone, keys, wallet, camera and sunglasses. There is no noticeable bounce, irritation or chafing. The key here is getting the right fit. Like a piece of clothing the UD PB Adventure Vest 3.0 comes in three sizes. Get the right one and it will fit like a custom vest. 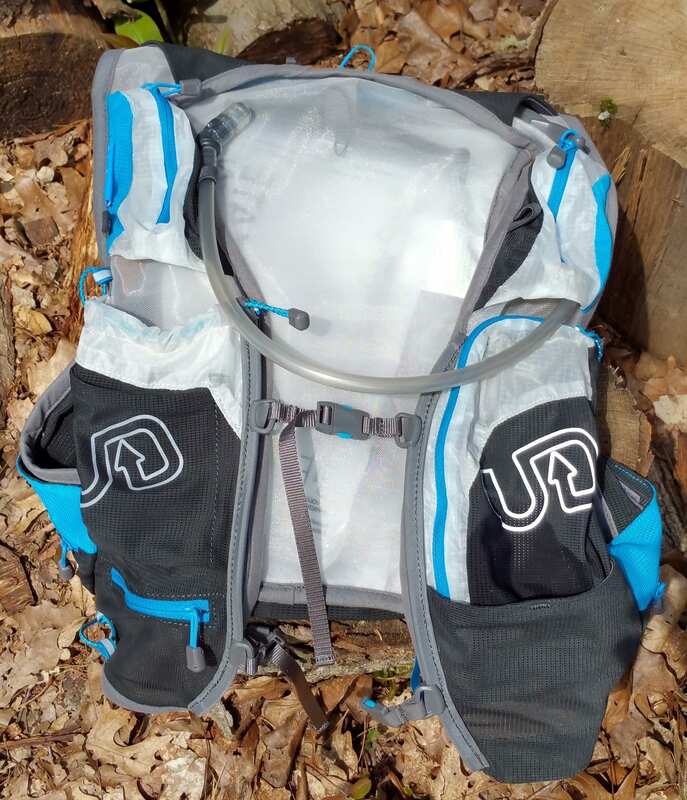 There’s enough capacity on the PB Vest for all day motocross, mountain biking, kayaking, warm weather hiking, snowboarding, cross country skiing, downhill skiing, etc. 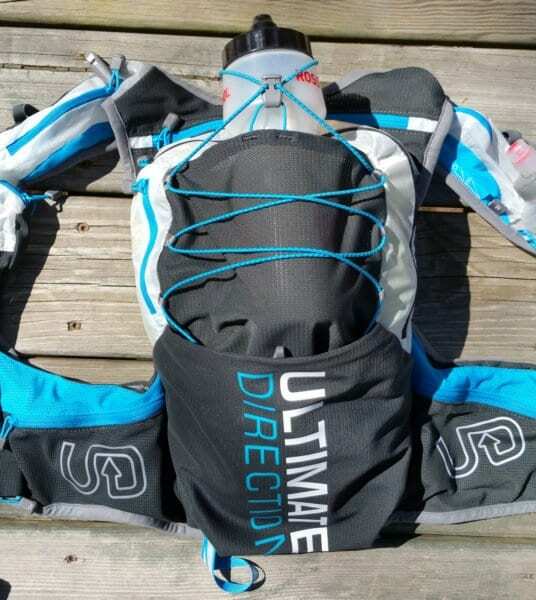 Well you get the point, it is called the Ultimate Direction PB Adventure Vest 3.0. 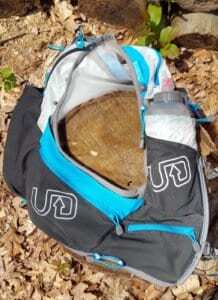 As for durability, the vest has brushed by and contacted many trees and bushes out on the trial. It has been through the rain and tossed in the mud. Once through the wash and it still looks new with no signs of abuse or wear and tear. 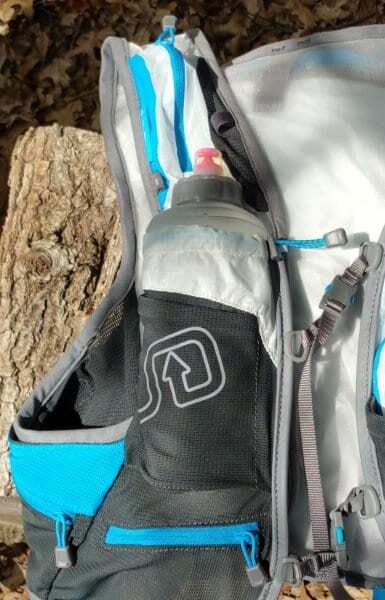 While the price on the Ultimate Direction PB Adventure Vest 3.0 is a little hard to swallow, being that it only comes with one hydration flask. 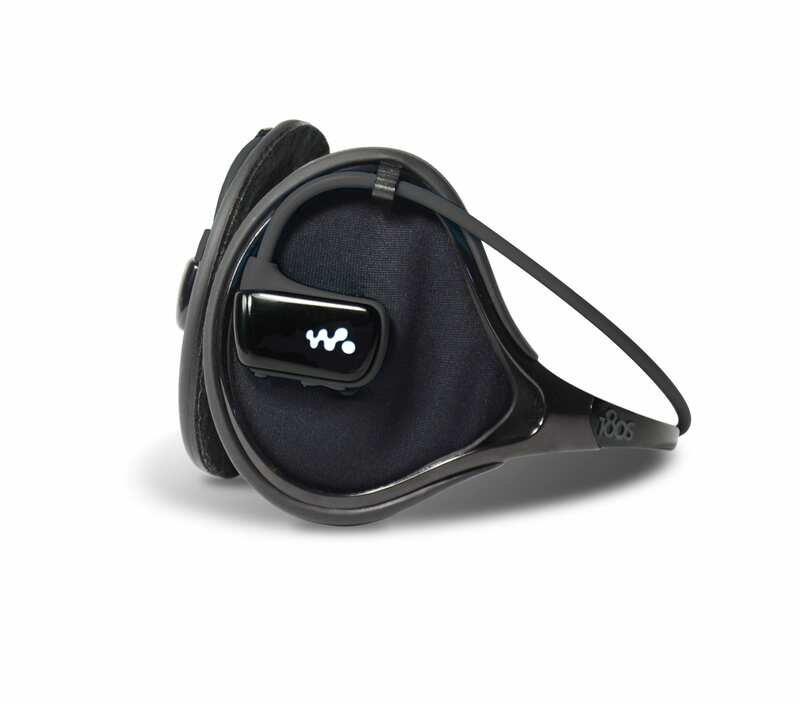 The lightweight comfort, durability, well thought out features and enormous amount of storage help make up for it. 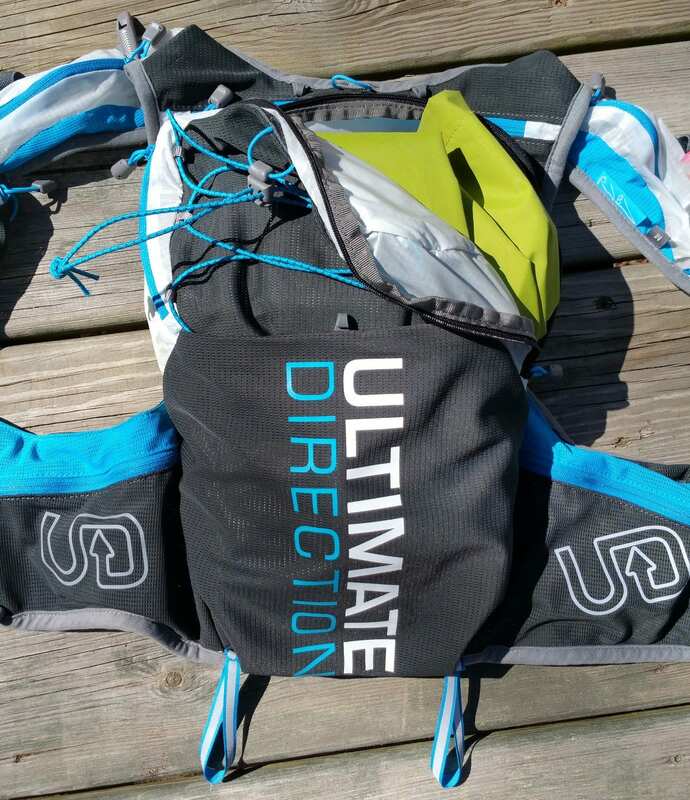 I can say with certainty that this vest will accommodate every storage and hydration (provided you have a hydration bladder, extra water bottles or flasks) need that you will have when you are out in the thick of an ultra or adventure race. 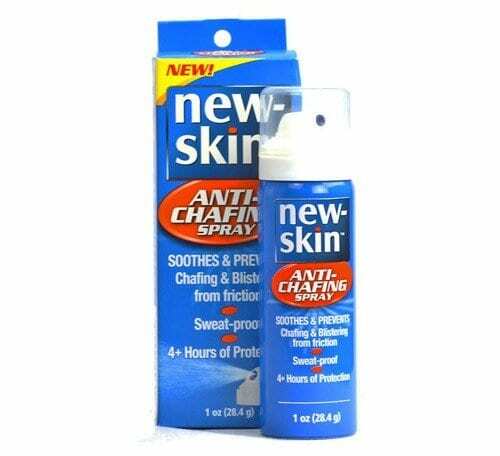 New Skin Anti Chafing Spray used for running?